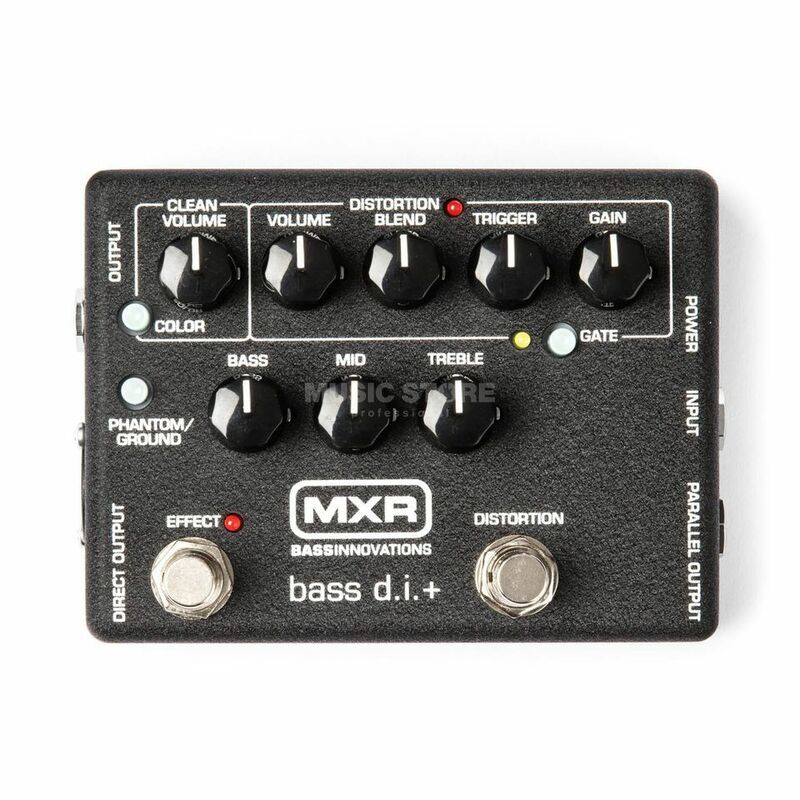 The MXR M80 Bass DI+ Guitar Effects Pedal A gritty, fully controllable DISTORTION channel, to explode your tone. Also a smart NOISE GATE with an adjustable SmartGate™ sensitivity trigger, to remove unwanted hiss and hum, with no sacrifice of tone. Switch the BASS D.I. off on the MXR M80 Bass DI Plus and you get clean bypass, but the unit’s own Clean channel features the COLOUR switch for some extra turbocharged tone – and with separate onboard BASS, MID and TREBLE controls for quick tweaks.